British citizens in Malta will need to apply for a residency permit which will be valid for ten years in case the United Kingdom withdraws from the European Union without a deal. The government has directed all public entities to ensure the smoothest transition for British nationals living and working in Malta, when the UK exits the European Union on 29 March 2019. Muscat was speaking at a press conference on Wednesday in which he outlined the various measures and preparations Malta was making in the eventuality that Brexit happens with no deal. He said that people from the UK who are resident in Malta till 29 March will be able to obtain the document, free of charge, which will ensure that their status remains unchanged. “The new residence document will reflect the fact that they are no longer EU citizens, but they will be a special category of citizens who have certain acquired rights which will not change,” Joseph Muscat said, as he underlined that this was a strong political signal meant to ensure Brits in Malta can have peace of mind. The document can be renewed after the ten years - considered a long-period for such permits - elapse. Through the residence document, British citizens will have access to the employment market, and UK students studying in Malta will be able to keep doing so. UK nationals will also continue to enjoy the right to vote in local elections. There are some 13,000 UK nationals who live in Malta, with 5,000 active in the labour market. “Politically, Malta wants to show that it is a friendly place for British citizens,” Muscat insisted. From Monday, a helpline in Malta and the UK will be unveiled for any questions linked to Brexit. 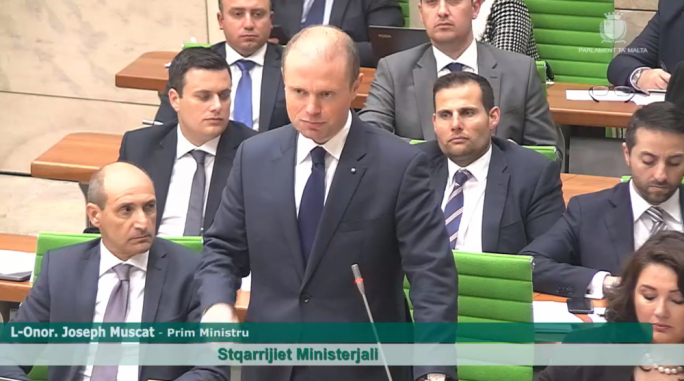 Muscat outlined various other measures Malta was considering in the event of a no-deal Brexit, such as the importation of medicine and border checks at the airport. The Prime Minister said that an agreement had been reached for doctors who qualified in Malta to still have their qualifications recognised in the UK. Moreover, work is going to start for the Medical Council to register doctors and professional who were qualified in the UK, with the aim being to have a fast-track system for these to be recognised with much less bureaucracy than usual, he said. 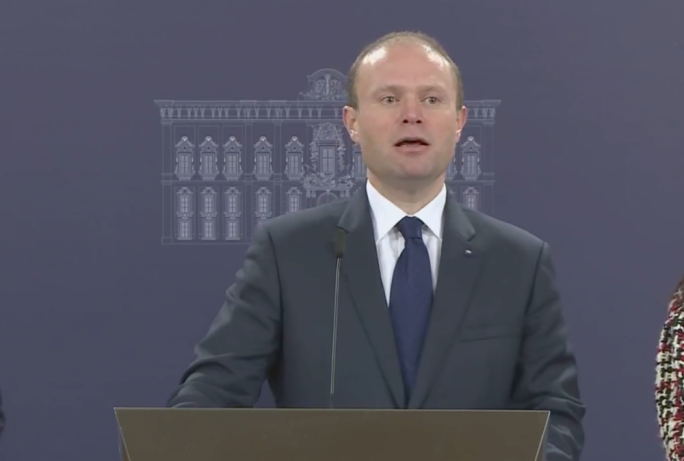 Muscat also reaffirmed that the 1975 reciprocal healthcare agreement between Malta and Britian will remain in place. In terms of the medicine imports, in the past months a process has been underway to list every medication which is imported by the government and is sourced from the UK. There are also discussions underway with private medicine importers, who have been encouraged to take the necessary measures so as not to create an anomaly in the market, he said. A no-deal situation will bring with it a number of challenges due to more border checks at Malta Airport, Muscat said. However, the government is exploring the option of having a preferential track system for UK citizens and other nationals who are not from the EU but not from third countries either – such as European Economic Area and European Free Trade Association members – to speed up the process of going through border security. The Prime Minister said that the Customs Department would be facing an estimated additional 6,000-7,000 customs declarations if no-deal is reached, due to the large number of goods imported from the UK. Muscat however said that the Customs Department was ready to cope with the increased workload, even as demonstrated through simulations it has carried out. A number of companies with bases in the UK have already started to co-locate and register in Malta, Muscat said. He said the government especially targeted non-British companies, with the main target companies being those with American, Indian and Japanese owners. These companies pinpointed two issues in Malta – the lack of office space, and places in schools. PN leader Adrian Delia asked whether Malta is ready to react to any Brexit scenario including the remote possibility that Britain opts for another referendum. In parliamentary proceedings today, Delia agreed with Muscat's agreement on British citizens, allowing these people to renew a 10-year residence permit without any fees incurred to stay and work in Malta. "We also agree and approve of the fact that Malta made pressure on the UK government for this to be reciprocated in Britain as well," he said. Delia stressed the importance of retaining the strong relationship with the UK due to the sheer volume of business between the two countries, besides the historical significance of the relations between the two countries. "Our first preoccupation as opposition is the rights of Maltese individuals and Maltese businessmen in the midst of all this," Delia said, adding that Malta had work hard and do its best in this regard while making sure that citizens do not become tools in the hands of negotiators. "What's happening is obviously not the government's fault but what is Malta doing to safeguard the rights of businesses and individuals?" the PN leader asked. He mentioned the maritime company P&O ferries, a British-based company that chose to register its fleet in Cyprus instead of Malta. In response to this, Muscat said that while this was true, the London-based bookmaker William Hill had also made plans to open a satellite office in Malta. Muscat said that while things were still tentative at the moment, there were a few facts which were certain. English will remain the official language of the European Union despite a proposal that never flew which suggested that countries that classified English as an official language had to finance this. Muscat announced that the Maltese government was in talks with the British government to not increase student fees for those Maltese students who wanted to study in Britain. Malta will also have to pay €6million more per year in a no-deal scenario, Muscat said, adding that he hoped that a deal would be reached.